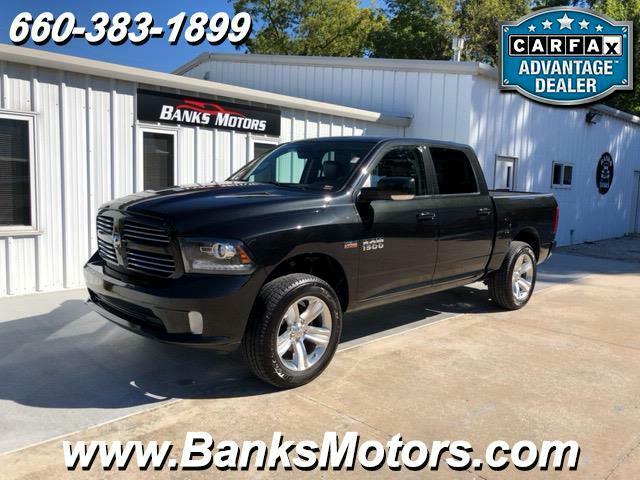 15 Ram Sport Crew Cab 4x4 with Low Miles! This Ram is powered by the Legendary 5.7 Hemi V8 and is equipped with some Excellent Features that include...Power Seat, Backup Camera, Bluetooth, Mounted Audio Controls, Power Mirrors, Remote Start, Ram All Weather Mats, 20" Alloy Wheels and so much more!! We are located in Clinton, MO, less than an hour southeast of Kansas City! No Games, No Gimmicks, Just the Right Way Of Doing Business!